These adorable Bow Holders are perfect for organizing and displaying your collection of bows. Names may be embroidered on the ribbon so just comment with the spelling. 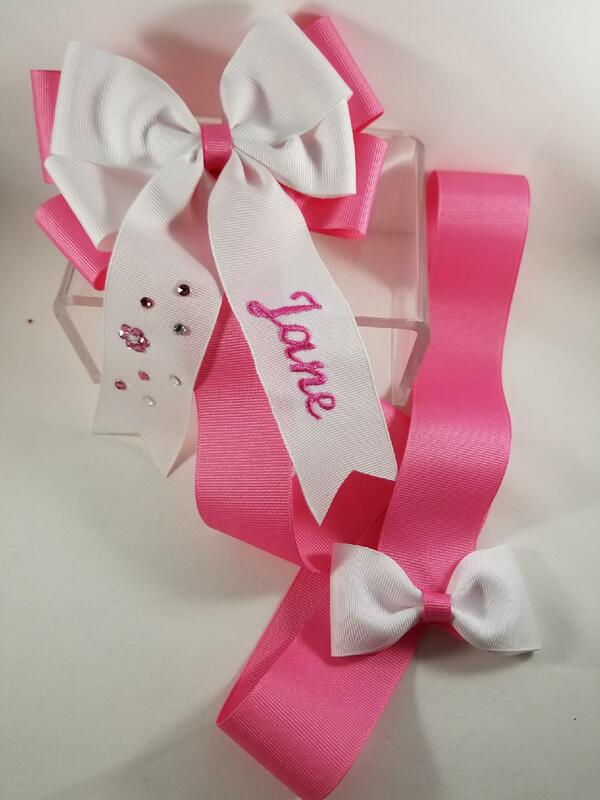 They are created with grosgrain ribbon and embellished with crystals. 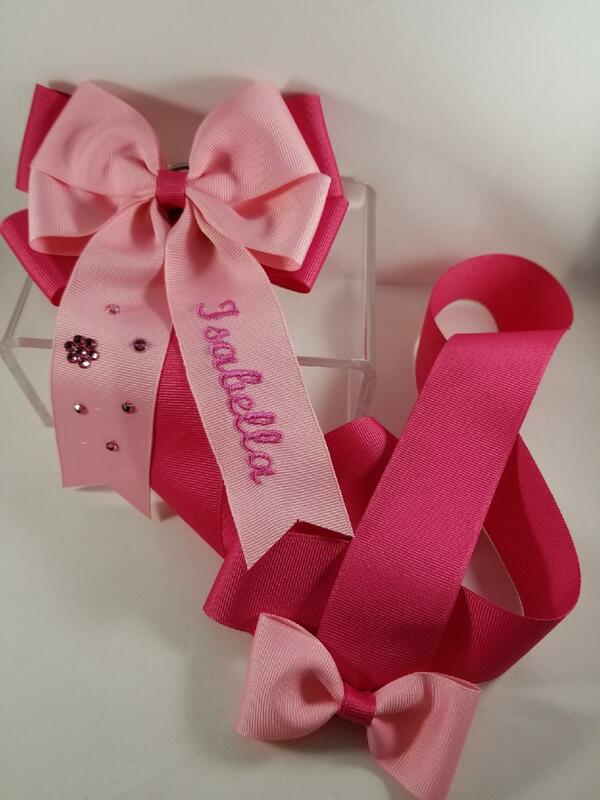 The Bow Holders are approximately 36” in length and have a D ring sewn in back of the bow for easy hanging. The bow at the top is 5” across and a small bow is sewn at the bottom of the streamer. The simple design allows for the Bow Holder to fit in many locations. 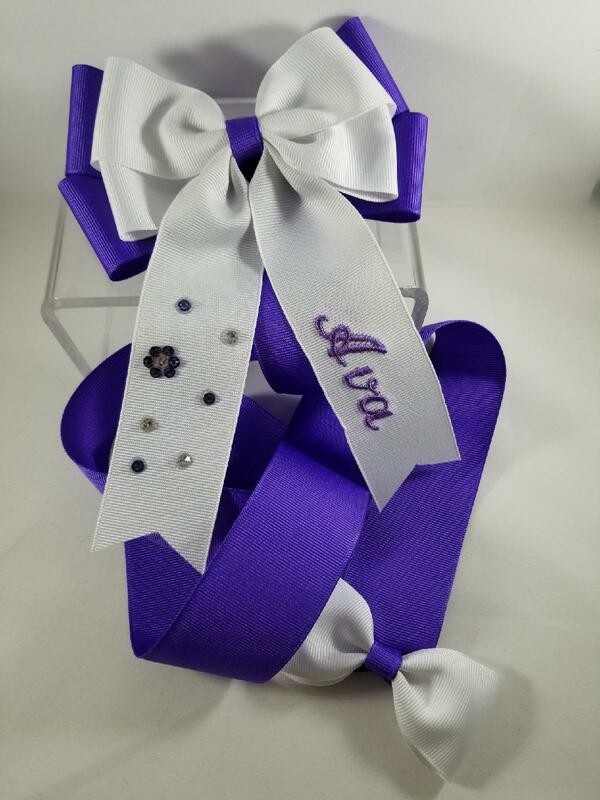 Bow Holders can be created in many colors and make perfect gifts. Colors pictured may vary due to different computer settings. Please contact me for any color questions. Since each piece is hand made, item may vary slightly from the one pictured. These adorable Bow Holders are perfect for organizing and displaying your collection of bows. Names..